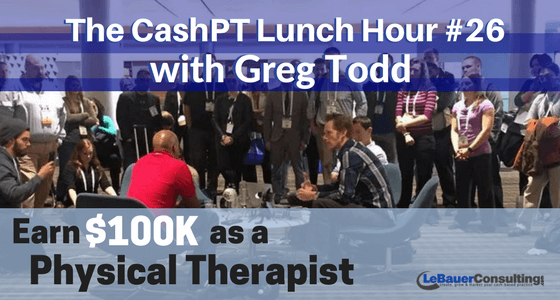 I had the honor to interview one of the top Physical Therapists and Entrepreneur, Greg Todd, PT, OCS, CSCS live from the APTA’s Combined Sections Meeting in San Antonio, TX. 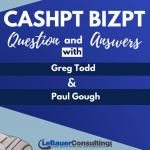 Greg Todd is a close friend, my accountability and success partner, a social media genius and successful practice owner. 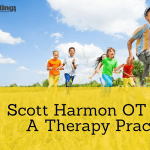 He is the co-owner of Renewal Rehabilitation with two locations in Tampa, FL. 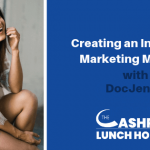 He has grown his practice with social media and content marketing so that a majority of his patients come in via Direct Access. 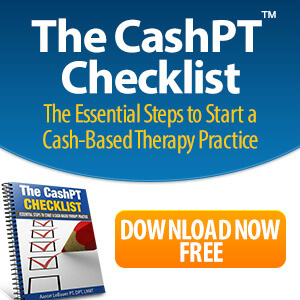 He uses “insurance” as a loss leader into his clinic’s wellness programs, resulting in a positive cash flow that minimizes the impact of insurance reimbursement. 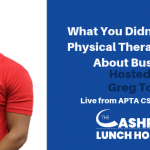 He is also an inspiring and motivating speaker, mentor and the President of Physical Therapy Builder with the goal of helping Physical Therapists catapult their career. 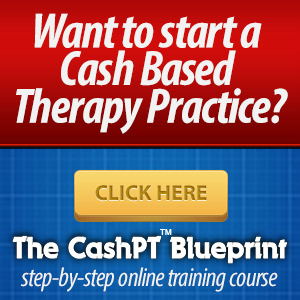 How to Grow Your Practice, Increase Your Cash Paying Patients & Add Residual Income with Online Wellness Programs & Consulting Gigs. 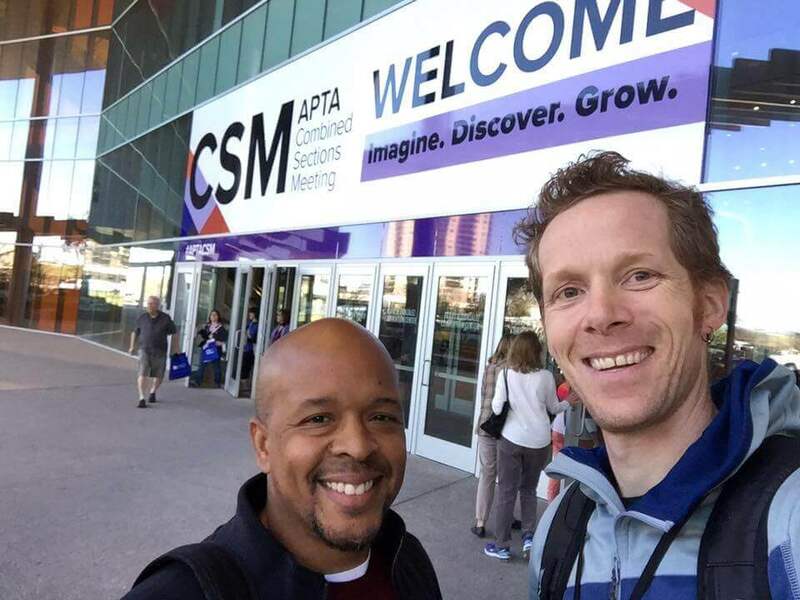 The #1 Thing DPT Students Should Be Doing Now! Mentoring Mondays – Signup here for Greg’s weekly mentoring emails. 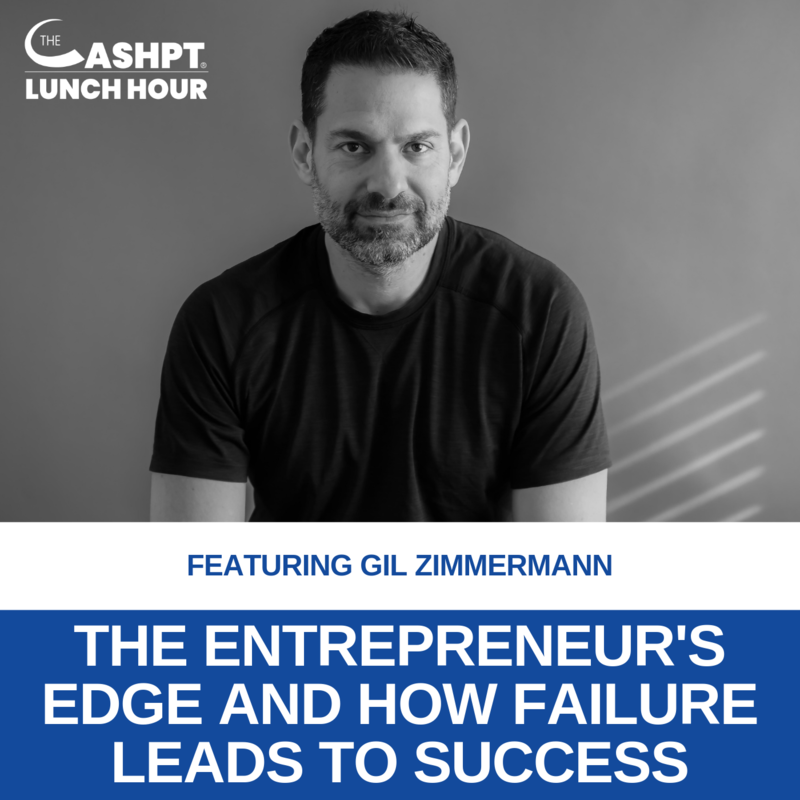 Every Monday he sends out an email covering entrepreneurship as a PT, practical clinical principles, how to brand/market yourself as a PT, and how to understanding payment in the PT world! 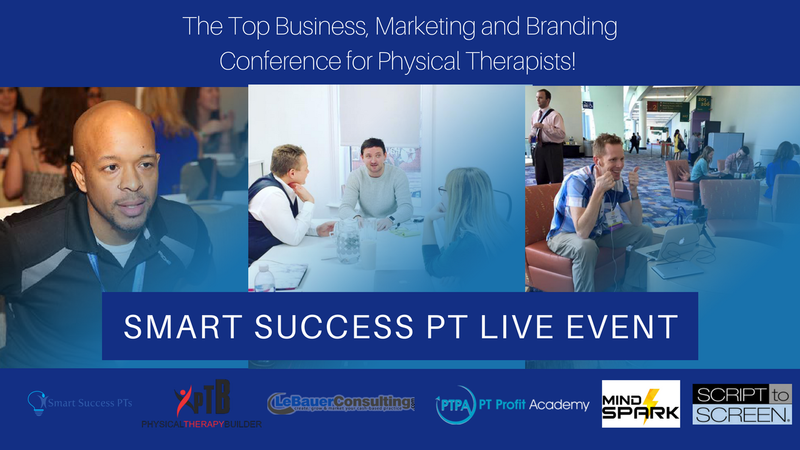 Smart Success Live – The 2 day live event in Clearwater, Fl Memorial Day weekend that Greg, Paul Gough and I will be co-hosting. You don’t want to miss this! Aleta, Thanks for your comment. 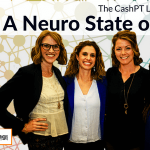 We would love to have you attend our event this spring https://www.lebauerconsulting.com/ssptlive Post here if you have any questions and let me know if there is anything I can do to support you.